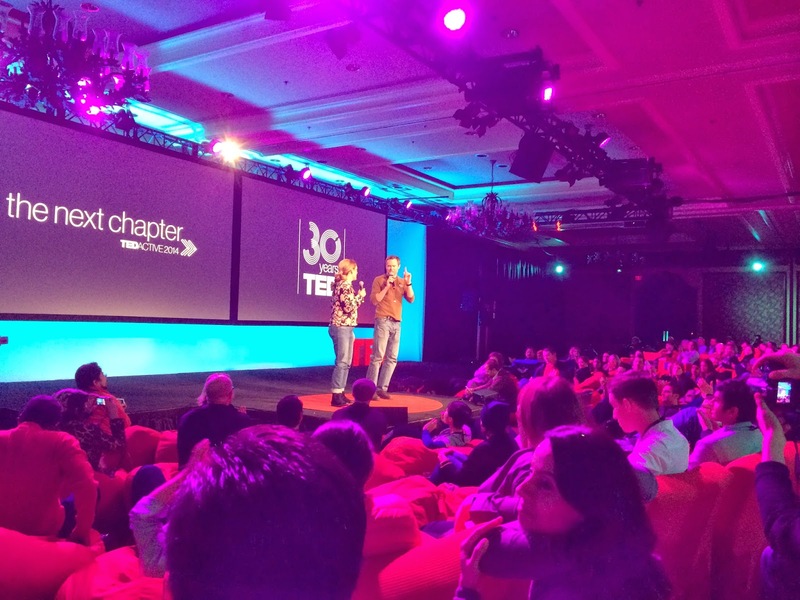 Today was a short day at TEDActive. Which was a good thing as everyone I spoke with felt like their heads were either too full of information or just plain mush. I felt a bit like both. Despite my mushy brain, I enjoyed most of the talks today. Jennifer Senior spoke on how parenting has changed and is more difficult than ever. Kevin Briggs recounted his experiences over the years as a police officer with responsibility for talking down Golden Gate Bridge jumpers. Joi Ito explained how he organized crowd sourced radiation detection in the wake of the tsunami and reactor disaster in Japan. Shaka Senghor recounted how he turned his life around while serving time in prison for murdering another man. Sarah Jones marvelously performed by answering previously unseen questions as different characters of various genders, ages, and ethnicities. She quickly changed clothing accessories, vocabulary, accents, and physical mannerisms. It was amazing to see these rapid transformations. Simon Sinek's talk on leadership stood out. He recounted a number of stories about how people were willing to sacrifice for each other and that the key ingredient is leadership that sacrifices for the group. He used metaphors of families and tribes, but was mostly talking about companies. He told of people like Charlie Kim of Next Jump and their approach to hiring. He cited examples such as how a company in financial straits implemented a shared furlough program rather than laying people off and how that drew the people in the company together. Much of what he described matched what Mark and I have tried to do at our company. I definitely need to read his books. The talk that touched me the most was by Gabby Giffords. She and her husband, Mark Kelly, participated in an interview led by Pat Mitchell. They described what they had been through since she had been shot in the head while meeting with her Congressional constituents in 2011. She walked haltingly onto the stage and sat with her husband on a couch. Her answers were very short. For example, when asked why she married him, she responded "best friends." Kelly explained that she meant that they were best friends and that formed the solid basis of their marriage. The path back for Giffords (and Kelly) has been and continues to be a very difficult one. They have given up their crazy busy lives as a Congresswoman and an astronaut to concentrate on her rehabilitation. Their love for each other seemed very genuine. They spoke of being gun owners, but their desire to keep guns out of the hands of criminals and the mentally unstable. At the very end, Giffords stood up and gave a short talk that she had obviously worked very hard on. She clearly and movingly spoke of her desire to make the world a better place. After the farewell party, we took the 2-hour ride to the Vancouver airport. 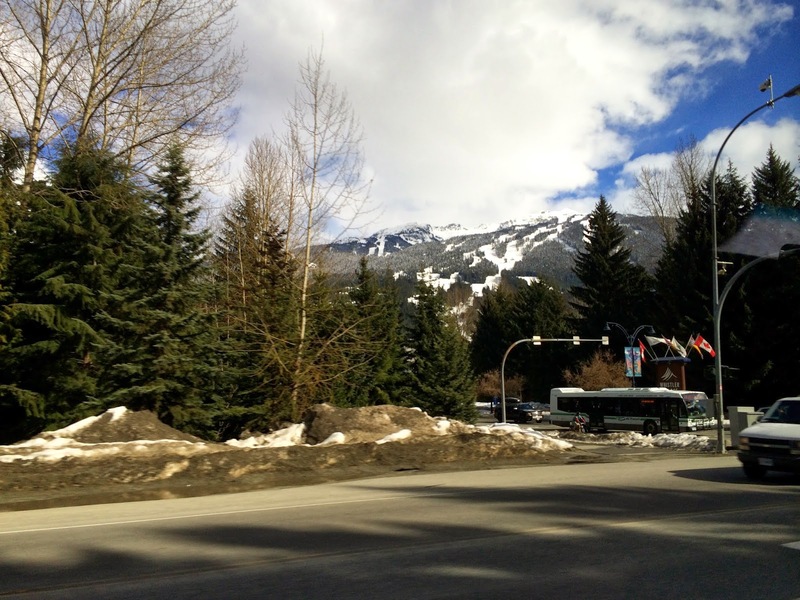 It was a bit sad to see Whistler fade into distance, but the scenery was beautiful. 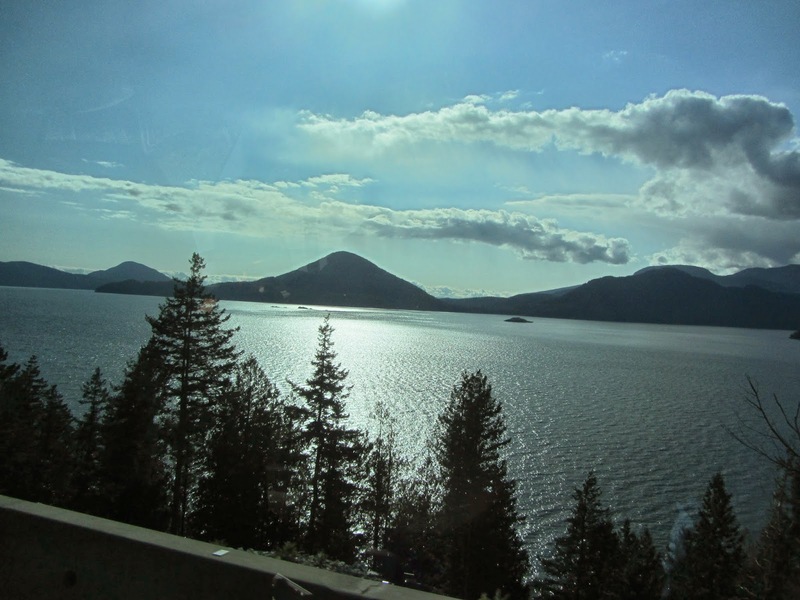 The road first treated us with mountains and then added the ocean into the visual mix. Many of the views were spectacular. They were a good final gift from TEDActive 2014. I am very much looking forward to being home, but it will be days and weeks before I've fully absorbed the week. In particular, I need to figure out what my big takeaway will be. In previous years, I've come away with changes as varied as implementing our sabbatical program at work and becoming a weekday vegetarian. It will require some time to determine this year's big takeaway. It has been a long week and I am exhausted, but TEDActive 2014 has been rewarding. I look forward to coming back again next year.